First of all I need to thanks my friend Jackob Ehn that pointed me to the right direction to create a particular build. 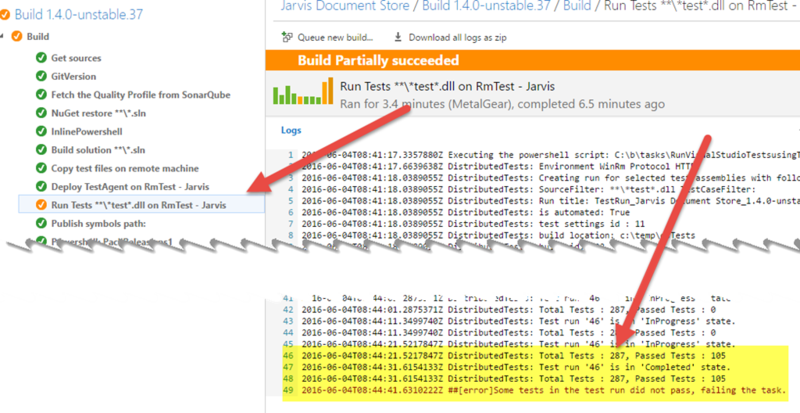 In this post I’ll share with you my journey to run tests on a different machine than the one that is running the build. For some build it is interesting to have the ability to run some Unit Test (nunit in my scenario) on a machine different from that one that is running the build. There are a lot of legitimate reasons for doing this, for a project I’m working with, to run a set of test I need to have a huge amount of pre-requisites installed (LibreOffice, ghostscript, etc). Instead of installing those prerequisite on all agent machines, or install those one on a single build agent and using capabilities, I’d like to being able to run the build on any build agent, but run the test in a specific machine that had all the prerequisite installed. Sometimes it is necessary to run tests during build on machine different from that one where the build agent is running. The solution is quite simple, because VSTS / TFS already had all build tasks needed to solve my need and to execute tests on different machine. The very first steps is copying all the dlls that contains tests on the target machine, this is accomplished by the Windows Machine File Copy task. This is a really simple task, the only suggestion is to never specify the password in clear format, because everyone that can edit the build can read the password. In this situation the password is stored in the RmTestAdminPassword variable, and that variable is setup as secret. 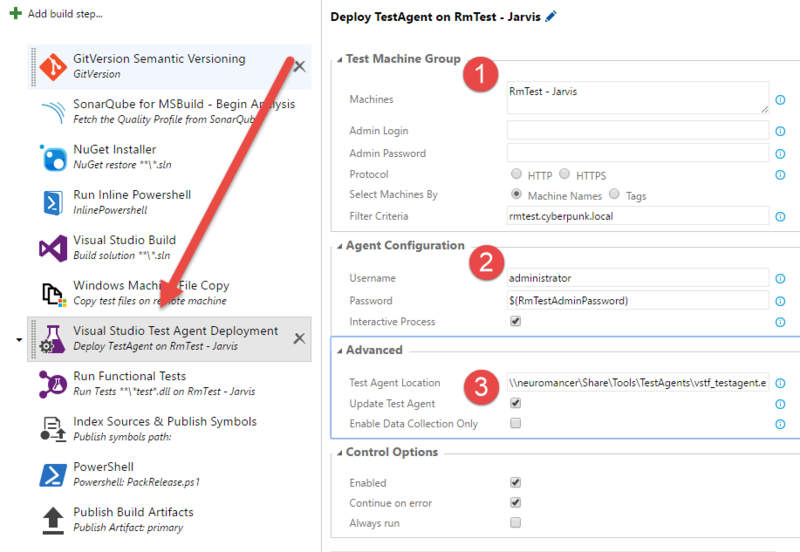 Then we need to add a Visual Studio Test Agent Deployment task, to deploy Visual Studio Test Runner on target machine. Configuration is straightforward, you need to specify a machine group or a list of target machines (point 1), then you should specify the user that will be used to run test agent (point 2), finally I’ve specified a custom location in my network for the Test Agent Installer. If you do not specify anything, the agent is downloaded from http://go.microsoft.com/fwlink/?LinkId=536423 but this will download approximately 130MB of data. For faster build it would be preferrable to download the agent and move the installer in a shared network folder to instruct the Task to grab the agent from that location. Finally you use the Run Functional Tests task to actually execute tests in the target machine. You specify the machine(s) you want to use (point 1), then all the dll that contains tests (point 2) and you can also specify code coverage (point 3). 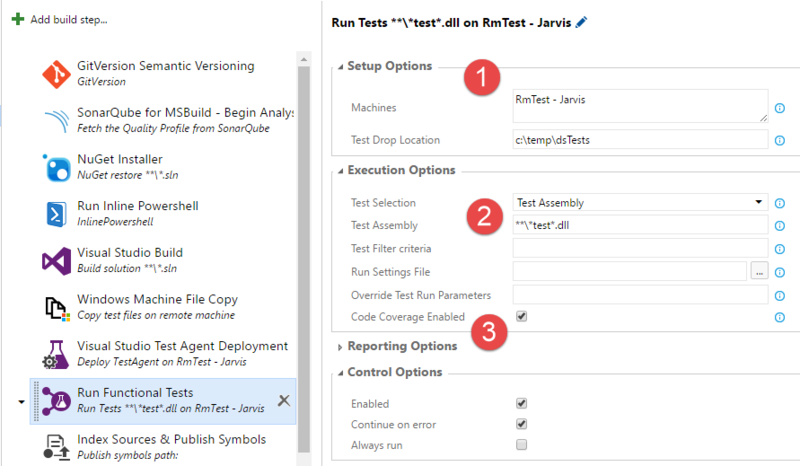 Even if the task is called Run Functional Tests, it actually use Visual Studio Test runner to run tests, so you can run whatever test you like. 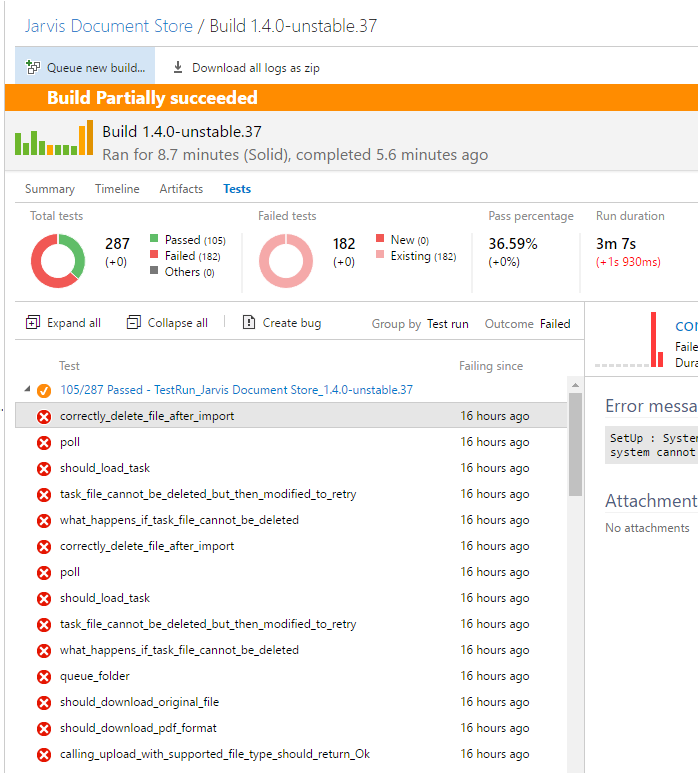 Thanks to TFS 2015 / VSTS build, we already have all tasks needed to run Unit Tests on target machines. If you are running Nunit test or whatever test framework different from MsTest, this task will fail, because the target machine has no test adapter to run the test. The failure output tells you that the agent was not capable of finding any test to run in specified location. 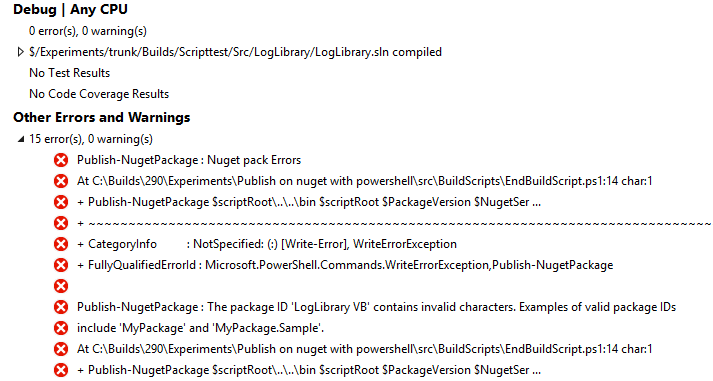 This happens even if you added Nuget Nunit adapter to the project. The solution is simple, first of all locates all needed dll in package location of your project. Once you located those four dll in your HD, you should copy them to the target machine in folder: C:\Program Files (x86)\Microsoft Visual Studio 14.0\Common7\IDE\CommonExtensions\Microsoft\TestWindow\Extensions, this folder was created by Visual Studio Test Agent deployment task and will contain all extension that will be automatically loaded by Visual Studio Test Agent. Once you copied the dll, those machine will be able to run nunit test without problem. Once you copied all required dll in target folder, re-run the build, and verify that tests are indeed executed on the target machine. Test output is transferred to the build machine, and attached to the build result as usual, so you do not need anything else to visualize test result in the same way as if the test were executed by agent machine. Once tasks are in place, everything is carried over by the test agent, test results are downloaded and attached to the build results, as for standard unit tests executed on Build Agent machine. The only drawback of this approach is that it needs some times (in my system about 30 seconds) before the test started execution in target machine, but apart this problem, you can execute tests on remote machine with little effort. I’ve blogged some days ago on Securing the password in build definition. I want to make a disclaimer on this subject. The technique described in that article permits you to use encrypted password in a build definition, but this password cannot be decrypted only if you have no access to the build machine. If you are a malicious user and you can schedule a build, you can simply schedule a new build that launch a custom script that decrypts the password and sends clear password by email or dump to the build output. The previous technique is based on encrypting with DPAPI, encrypted password can be decrypted only by TfsBuild user and only in the machine used to generate the password (build machine). Despite the technique you used to encrypt the password, the build process should be able to decrypt the password, so it is possible for another user to schedule another build running a script that decrypt the password. Every user that knows the TfsBuild user password can also remote desktop to build machine, or using Powershell Remoting to decrypt the password from the build server. This means: the technique described is not 100% secure and you should be aware of limitation. Apart from these discussions on the real security of this technique, one of the drawbacks of using DPAPI is you need to do some PowerShell scripting in the remote machine to encrypt the password. So you need to remote Desktop build machine or you need to do a remote session with PowerShell. A better solution is creating a super simple asp.net Site that will encrypt the password with a simple HTML page, then deploy that site on the Build Server. Figure 1: Simple page to encrypt a string. You can test locally this technique simply running the site in localhost using the same credentials of logged user, encrypting a password and then try to decrypt in powershell. Figure 2: Decrypting a password encrypted with the helper site should work correctly. The code of this page is really stupid, here is the controller. Thanks to this simple site encrypting the password is much more simpler than directly using powershell and you do not need to remote desktop to build machine. 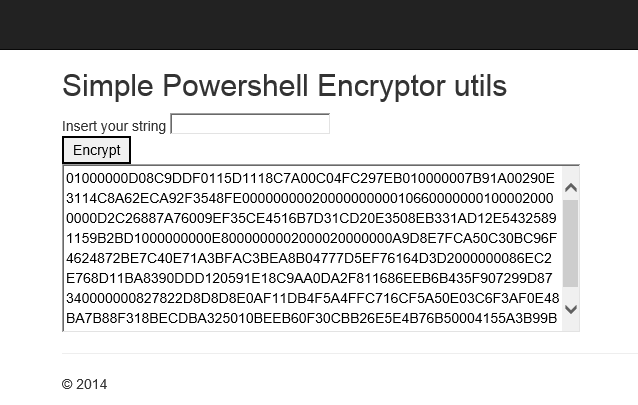 To have a slightly better security you can disable remote desktop and remote powershell in the Build Machine so noone will be able to directly use PowerShell to decrypt the password, even if they know the password of TfsBuild user. Some days ago I had some tweet exchange with Giulio about a post of Gordon on storing security info in TFS Build Definition. The question is: how can I store password in build definition without people being able to view them simply editing the build definition itself? With TFS 2013 a nice new Build template that allow customization with scripts is included and this is my preferred build customization scenario. Now I question myself on How can I pass a password to a script in build definition in a secure way? When you are on Active Directory, the best solution is using AD authentication. My build server runs with credentials of user cyberpunk\\TfsBuild where cyberpunk is the name of my domain and the build is executed with that credentials. Any software that supports AD authentication can then give rights to TfsBuild users and there is no need to specify password in build definition. As an example, if you want to use Web Deploy to deploy a site in a build you can avoid storing password in Clear Text simply using AD authentication. I’ve described this scenario in the post how to Deploy from a TFS Build to Web Site without specifying password in the build definition. But sometimes you have services or tools that does not supports AD authentication. This is my scenario: I need to call some external service that needs username and password in querystring; credentials are validated against custom database. In this scenario AD authentication could not be used. I’ve setup a simple web service that ask for username and password, and returns a json that simply dumps parameters. This simple web service will represent my external service that needs to be invoked from a script during the build. Figure 1: Simple service that needs username and password without supporting AD Authentication. As you can see the call does nothings except returning username and password to verify if the script was really called with the rights parameters. Here is a simple script that calls this service, this script can be invoked during a TFS Build with easy and it is my preferred way to customize TFS 2013 build. Once I’ve cheked-in this script in source code, invoking it in TFS Build is a breeze, here is how I configured the build to invoke the service after source code is built. Figure 2: Invoke script but password is in clear text. This works perfectly, you can verify in the build Diagnostics that the web site was correctly called with the right username and password (Figure 3), but as you can see in Figure 2 password is in clear text, everyone that has access to the build now knows the password. This is something that could no be accepted in some organization, so I need to find a way to not specify password in clear text. Figure 3: Web site was called with the right password. My problem is: how can I pass a password to the script in a secure way? Luckily enough, windows implements a set of secure API called DPAPI that allows you to encrypt and decrypt a password using user/machine specific data. This means that a string encrypted by a user on a machine can be decrypted only by that user on the same machine and not from other users. Thanks to DPAPI we can encrypt the password using Cyberpunk\\TfsBuild user from build machine, then use encrypted password in build definition. Anyone that looks at build definition will see the encrypted password, but he could not decrypt unless he knows credentials of Cyberpunk\\TfsBuild user and runs the script on the same Build machine. Build agent can decrypt the password because it runs as Cyberpunk\\TfsBuild user on the Build machine. Now I remote desktop on the Build Machine, opened a powershell console using credentials of Cyberpunk\TfsBuild user, then I encrypted the password with the following code. For this second example the password will be MyPassword to distinguish from previous example. Encrypted password is that long string you see in the above script and can be used in build definition instead of a clear-text password. This password can be decrypted only by users that knows the password of TfsBuild user and can open a session in the Build machine. The main drawback of this technique is that the person that creates the build (and knows the password for the external service) should know also the password of TfsBuild user and access to Build machine to encrypt it. This problem will be fixed in a future post, for now I’m happy enough of not having clear text password in build definition. This code simply decrypts the password and then calls the service. This is a simple piece of powershell code I’ve found on some sites, nothing complex. Then I checked in this new script and fire the build. After the build completes I verified that the script correctly decrypted the right password and that the service was invoked with the right decrypted password. To verify that this technique is secure I connected as Domain Administrator, edited the build and grabbed encrypted password from the definition. Once I’ve got the encrypted password I run the same PowerShell script to decrypt it, but I got an error. Even if I’m a Domain Admin, I could not decrypt the password, because I’m a different user. It is not a matter of permission or of being or not ad administrator, the original password is encrypted with data that is available only for the same combination of user/machine, so it is secure. If you have multiple build controllers / agent machines, you can still use this technique, but you need to specify the build machine you used to generate the password in the build definition. Figure 7: I specified the exact agent that should run the build, because it is on the machine where I’ve encrypted the password. In this example I’ve used powershell, but the very same technique can be used in a Custom Action because DPAPI is available even in C#. After you set automatic publishing of NuGet packages with automatic assembly and NuGet version numbering in a TFS Build, you surely want to enable publishing symbols on a Symbol Server. This will permits you to put a reference to your NuGet Package and then being able to debug the code thanks to Symbol Server support with TFS. Publishing symbols is just a matter of specifying a shared folder to store symbols in build configuration, but if you enable it in previous build where you publish with Powershell, it does not work. The reason is, you are running PowerShell script that publish NuGet package after build (or after test), but in the build Workflow, source indexing happens after these steps. The problem happens because you should publish your NuGet package after publishing took place and your .pdb files are modified to point to sources in TFS. To fix this problem you simply need first to download the Build Workflow, (in TFS 2013 default build Workflows are not stored directly in Source Control and they should be downloaded if you want to customize them) and create a custom build. You can just download to your computer, change name of the file, change inner workflow and check-in in Source Control as you would have done with previous version of TFS. My goal is adding the ability to run another script at the very end of the workflow, so I opened the workflow and simply copy and paste the Run optional script after Test in the end of the sequence and change name to Run optional script at the end of the Build. Now I added two other Workflow Arguments , to allow the user to specify the location and arguments of this script. Figure 4: Adding arguments to pass to the new script execution block. Now you should change the Run optional script at the end of the Build block to reference these two new arguments instead of the original ones. Finally you need to return to Arguments of the Workflow and change the Metadata argument, to specify some additional data about these two arguments. Figure 6: Adding Metadata for your custom arguments. As Editor, the user would be able to browse the source control as for the other script in the build. You should check-in the new workflow in source control, edit the build definition and in Process tab choose the new workflow. You should be able now to see the new arguments to specify the script that should be run at the end of the Build. 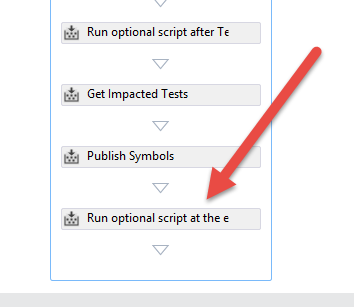 Figure 7: You can now specify a script that will be executed at the very end of the build. Thanks to the Editor, if you select the Post Execution Script Path, you will find an ellipsis button that permits you to browse the source to specify file location. 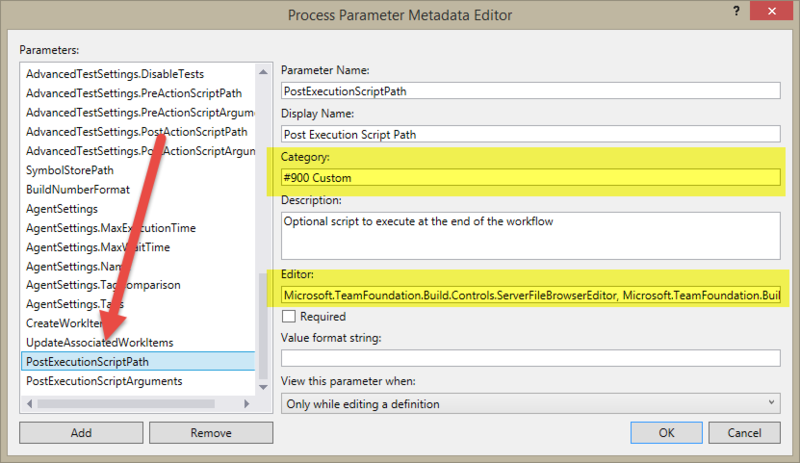 Figure 8: Thanks to the Editor property in metadata you are able to browse the source to specify the script. You can now use the very same script of NuGet publishing, but since it is executed after symbols publishing, now your NuGet package contains indexed pdb and everything works as expected. Publish on an azure web sites. Et voila, you have your Nuget server up and running in really no-time on an azure web site, it is simple and quick to setup. Now you only need to create a simple powershell file to enable automatic publishing of your libraries during TFS Build. This is really easy, first of all I started including a standard nuspec file inside the library I want to publish. 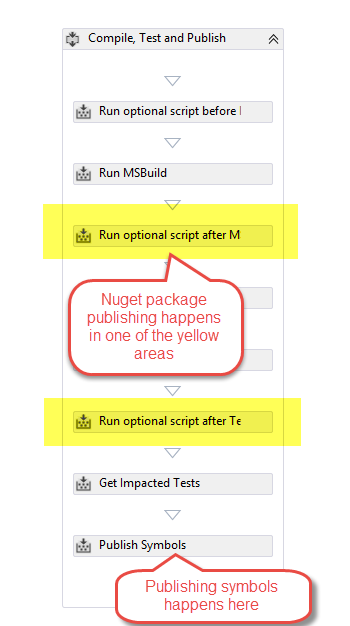 This .nuspec file will contains all the details of the package and the script will only need to change the number, create nuget package and finally publish the package into your nuget server. Here is a simple .nuspect file for a test project of a log library. 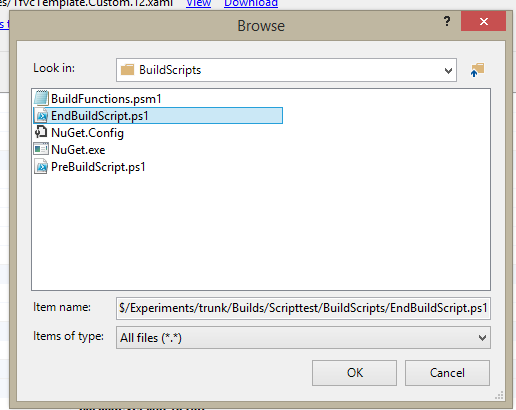 The very first step is including nuget.exe inside my BuildScript folder and check-in everything. This will assure me that everything is needed for the build is contained in source control. Now the interesting part, the powershell function that does the real work. Write-Host "Executing Publish-NugetPackage in path $SrcPath, PackageVersion is $PackageVersion"
Write-Host "Transformed PackageVersion is $PackageVersion "
$backFile = $file.FullName + "._ORI"
$tempFile = $file.FullName + ".tmp"
$ps.StartInfo.Arguments = "push `"$file`" -s $NugetServer $NugetServerPassword"
My standard disclaimer is: I’m not a powershell expert, so I think that probably there are gazillions of way to do a better powershell script. The function is really simple, first of all it starts doing some standard transformation of the package number (as in previous article), then it starts enumerating all .nuspec files present in bin directory of the build. For each nuspec file, it simply do a backup, then change the version number using a simple regex, finally it invoke the nuget.exe process to create the pack file. To launch an external process and have full control on the output I decided to use (since I’m a .NET programmer) the System.Diagnostic.Process class, that permits me to intercept all standard output and standard error. After the process ends I use write-host and write-error to dump all the output to the host (it would be a better approach parsing the output and generate a better error message). Finally I invoke again nuget.exe to publish the package to my server. 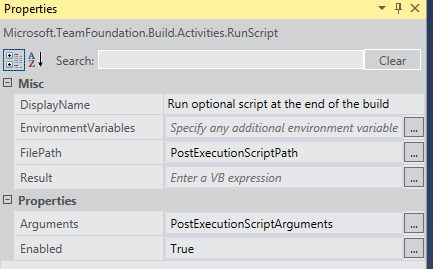 Once this function is in place, you can invoke with a simple script that will be scheduled to be executed AfterBuild. Write-Host "Running Pre Build Scripts"
It is based mainly by convention, the script root is the folder where the script is, and the build is configured with this workspace. Write-Host "Not running in build, using relative path to identify bin location." $binPath = $scriptRoot + "\..\..\bin"
The above script does nothing except importing the module with the publishing function and invoke the Publish-NugetPackage function. Now everything is setup correctly, just fire a build and verify that everything is done correctly looking at write-host messages that gets collected in the detailed log of the build. Thanks to log files, you can output as much information you want to diagnose problem that can arise during the build. figure 5: Verify output of powershell scriptin diagnostic build informations. If the script contains some errors, powershell will write error with write-error and this information will make the build partially fails and also all the errors will be output in build details, but not in a real nice form. 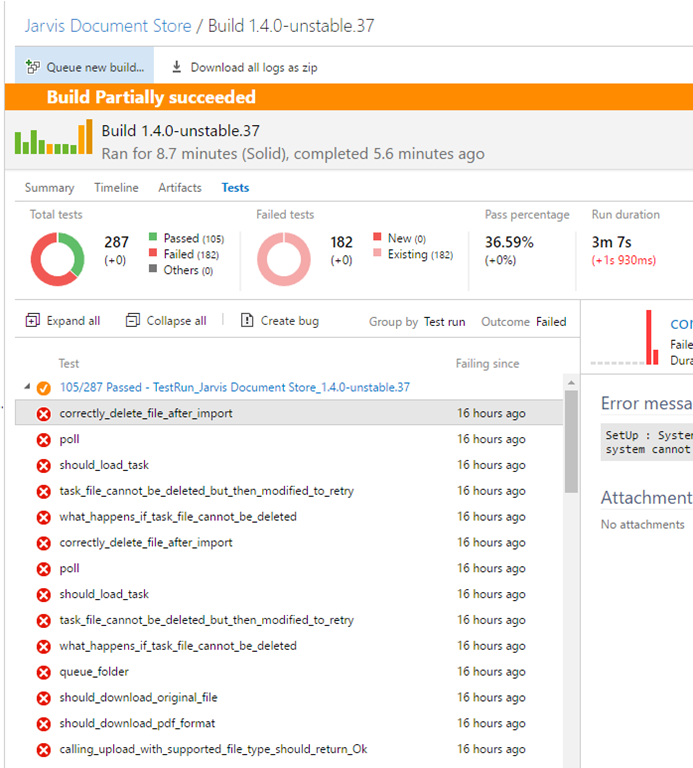 Since I’ve intercepted all nuget.exe error output and dump with Write-Error, a nuget.exe error message will make the build Partially Fails and you can looks at errors list to understand what happened. This has not a nice formatting, because each error line is treated as a single and distinct error in the build. But at least we are able to identify the root cause of the error, even if they are not really well formatted. 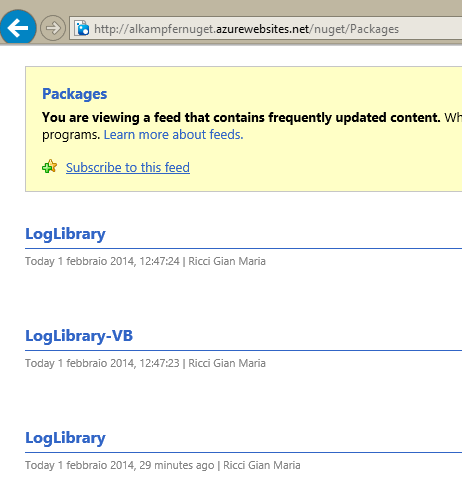 When the build is green you will find your packages in the feed of your nuget server. Figure 7: Feed of my packages pushed during the build. Each good build will produce a unique version for your package, as you can verify from package console. Figure 8: Listing available packages in Package Manager Console. With few lines of powershell you are able to automatically publish your packages to nuget server during TFS Build.